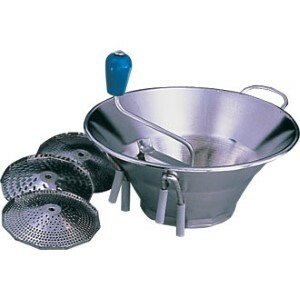 Aluminium hopper and removable sieve. 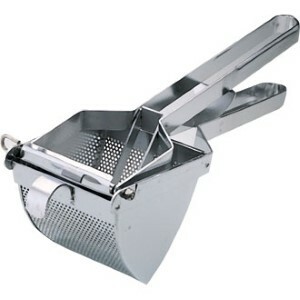 4 x 4" aluminium hopper Ideal for small amounts of smooth mashed potatoes. Tinned wire heads and nylon handles. 5" Diameter. 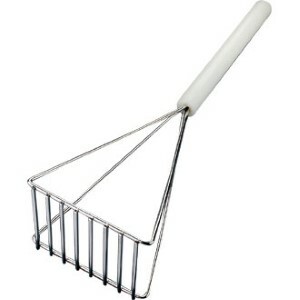 Tinned wire heads and nylon handles Rectangular Base 5 x 4"
Tinned steel Tellier moulin Excellent for smooth creamy mashed potato.310mm wide - Produces 1Kg per minute. 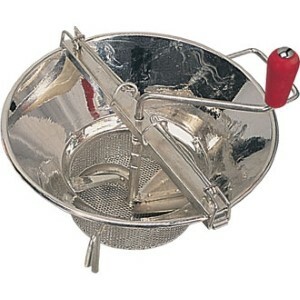 Triturator with sieve. 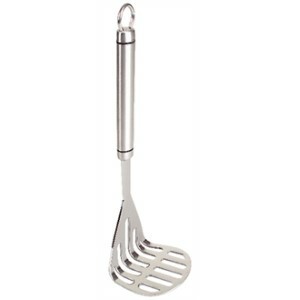 Excellent for large volumes of mashed potato. 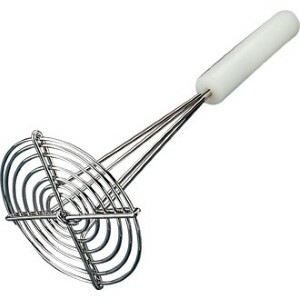 Produces up to 5kg per minute.